A new study has found that climate change is affecting flowers in a surprising way — they are not as sweet. If you read old books, they often describe the excessively sweet smell of a field of flowers, but if you visit a wildflower patch today, you may notice that it smells only slightly different than the surrounding weeds. According to the new study, published in September 2015 in the journal New Phytologist, climate change may be to blame for the lack of smell in modern flowers. Flowers use scent molecules to attract bees and other pollinators, however, the study has found that ground-level ozone disrupts this process. When a flower’s scent molecules are exposed to ground-level ozone they break down faster, making the flower smell less sweet. The study authors estimate that the amount of ground-level ozone will increase over the next few decades. This means that flowers will not be as attractive to bees and other pollinators because their scent will not project as far or last as long as in previous years. This study is not the only one to suggest that modern flowers are less potent than in previous years. In 2013, a study published in Environmental Research Letters found that ground-level ozone has a powerful effect on the striped cucumber beetle, which is known for eating plants such as cucumbers and pumpkins. When ozone levels increased, the beetle was less attracted to the plants. 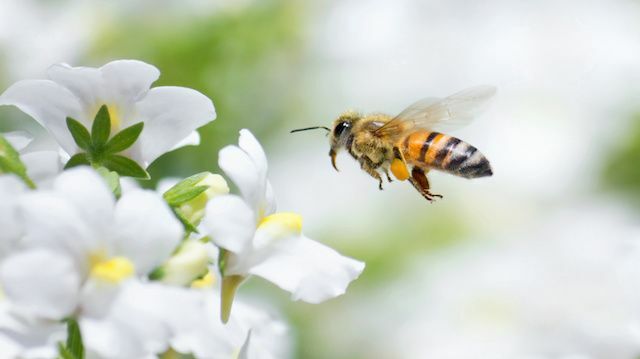 In this case the effect had positive results, however fewer bees attracted to flowers is a completely different story with potentially serious consequences. The 2015 study used scent molecules from a common mustard plant and tested their effects on bumblebees. When there were less flower molecules in the air, the bees visited less often. The study was able to simulate both the degradation of the plant molecules when exposed to ground-level ozone and how the reduced amount of scent molecules affected the bees directly. In most cases, the bees were unable to follow scent cues that would ordinarily alert them to the presence of the flowers. The study authors theorized that similar effects would occur with other pollinators as well as other flowering plants. The U.S. Environmental Protection Agency explains that ground-level ozone is not the natural ozone found in the environment. It is created when volatile organic compounds (VOCs) mix with oxides of nitrogen and are exposed to sunlight. Most sources of ground-level ozone come from vehicles, factories, power plants, and electric utilities. Because of the widespread use of VOCs, ground-level ozone is expected to increase over the next few years. A 2014 study published in the journal Nature Climate Change estimates that ground-level ozone will reduce global food production by 15 percent by the year 2050 if current production rates are maintained. Only by reducing ground-level ozone can we prevent this from happening. The effect on our food and crop production could be even greater if bees are directly affected. Regardless, if bees are forced to expend more energy searching for food, it will result in smaller bee colonies and fewer fertilized plants. What is the lesson here? Do your part to prevent ozone production by eliminating VOCs. For the flowers, the bees, and for our food supply. Hey Buddy!, I found this information for you: "Pollution is Making Flowers Smell Less Sweet". Here is the website link: https://www.thealternativedaily.com/pollution-making-flowers-less-sweet-smelling/. Thank you.